An Army medic from Omaha who died trying to save a fellow soldier’s life will now be remembered at a famed Army base. On Friday, Colorado’s Fort Carson officially renamed a medical clinic in honor of Pfc. 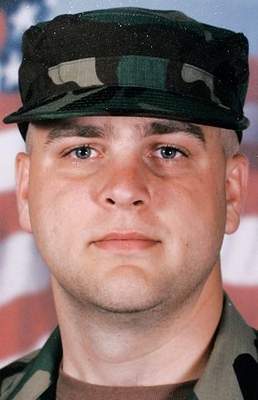 Eric Paul Woods, who died in a 2005 bomb blast in Iraq. Now, when a soldier’s spouse or child needs medical help they will go to the Pfc. Eric P. Woods Soldier Family Care Center on the base. This entry was posted in Uncategorized and tagged 2012, Colorado, Eric Woods, Fort Carson, IED, Iraq, US Army by Jennifer Norris. Bookmark the permalink.